We are heading into the coldest time of the year, and those freezing temperatures mean that we are all far more likely to have the heating on for extended periods of the day. It’s during these winter months that we tend to use the most energy, and so account for a large chunk of our annual energy spend. However, many of us are actually overpaying on our energy bills, resulting in our accounts being in credit. So how do you go about getting your money back from your supplier? And is it actually a good idea to do so? According to energy switching firm Weflip, suppliers currently owe their customers a massive £1.17bn. Around half of UK households have overpaid on their energy bills over the last year, putting their accounts in credit by an average of £84.80. More than one in ten (12%) households are owed more than £100 by their supplier. It’s all because of the way that we pay for your energy. Most of us sign up to pay by direct debit - it’s by far the easiest way to clear your bill. Suppliers work out how much energy you are likely to use over the year - and therefore how much you’re likely to have to pay - and then split that amount into 12 equal monthly payments. 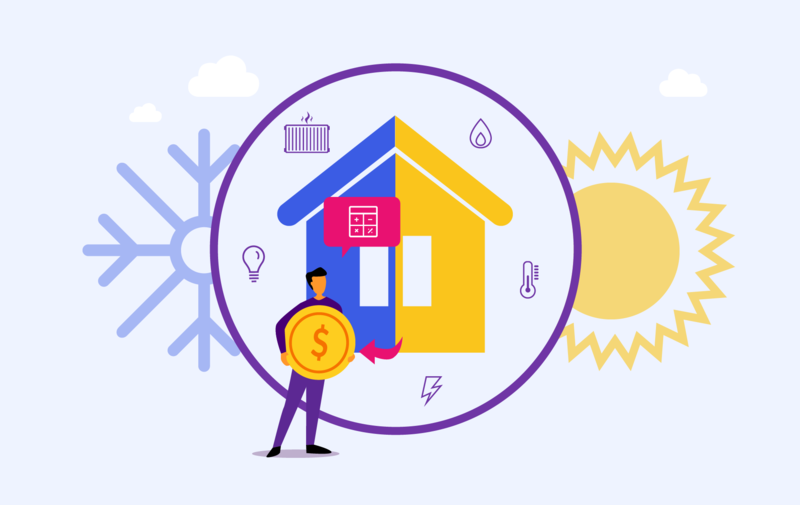 As a result, you pay for more than you actually use during the warmer months, which should then be balanced out by the winter months when your usage goes up. The trouble is that suppliers are clearly significantly overestimating how much we are likely to use, and so setting those direct debits too high. The good news is that you can ask a supplier to refund the credit you have built up in your account. They need to have reasonable grounds in order to turn down the request, so there shouldn’t be an issue there. What’s more, many suppliers will provide a refund automatically when they conduct your annual review. Each year they need to check your actual usage against what they estimated, and adjust your direct debit accordingly. If you are a certain amount in credit, that money will then be automatically handed back to you, though bear in mind that different suppliers have different rules when it comes to precisely how in credit you need to be in order to get an automatic refund. For example, while British Gas will give you the money back if you’re more than £5 in credit, with Scottish Power you need to be a massive £75 in credit. Should I leave the money in there? Before you rush off to claim that money back, it’s worth considering where you are in the usage cycle and whether you’d be better off leaving the money in the account. For example, right now you are probably in credit because you have paid more than you actually used during the summer and winter. But that credit may soon disappear during these colder winter months. You can ask for a refund now, but it may mean you need to pay more in future to make up for any shortfall as a result of getting that money back ahead of schedule. It’s not just your current energy supplier who might be sitting on money that is rightfully yours. Plenty of us are owed money by old suppliers, either because you’ve moved house or you’ve changed your supplier in your current home. If you think you might be owed cash by an old supplier, then a good place to start is the My Energy Credit website. It brings together the contact details for all of the big energy suppliers, as well as running through how their refund process works. You can do it yourself too. It doesn’t matter how long ago the account was closed, you will get that money back if it’s owed to you. If you want to pay a decent price for your energy, then it’s really important that you shop around for a new tariff every year or so. Suppliers offer their best deals on fixed tariffs of a year or so, which set the price that you pay for your gas and electricity in stone. Most households in the UK have to pay council tax. It’s an annual charge which covers the activities of the council, from collecting your rubbish and recycling to your local fire and police departments. Energy prices have been rising steadily this year, with all of the Big Six energy firms pushing up their prices at least once for customers with a standard variable tariff. The Government’s long-awaited energy price cap, which comes into effect in January, is supposed to help these customers.